Cumbria and The Lake District boast stunning natural landscapes and scenery that will stay with you for a very long time. There are a variety of ways that you can see everything that Cumbria and the Lake District has to offer, but the best way has to be on two wheels. So, if you are looking to get on your bike and explore the area, then let us help you by covering some of the very best cycle routes in the area. The route that you take around the Lake District will really depend on how often you cycle and who you are cycling with. Thankfully, there are plenty of different routes that you can take, challenging mountains, relatively simple flatter routes and routes that you can take with all your family members. If you like the idea of combining the Lake District with a touch of coastal charm, then why not take a look at one of the coastal cycle routes. At 13.5 miles the St Bees route is a medium to moderate route that can be challenging at times. That said, it is incredibly pretty and packed full of all the charm that you would expect from the Lake District. It not only takes you along the coast but also through some pretty red sandstone villages too, there are also a few stops along the way so that you can all rest your legs. For those people who prefer a challenge in their cycling, the Wasdale & Wastwater might be the ideal choice for you. It takes you from the high mountain valley of Wasdale, up to Scafell Pike, which is the highest mountain in England. The riding on this route not only has some amazing views, but also has some challenging riding conditions too, despite only being 15.5 miles long. Riding with your family? If you are, then you are going to want to make sure that you find a route that is suitable for those little legs. 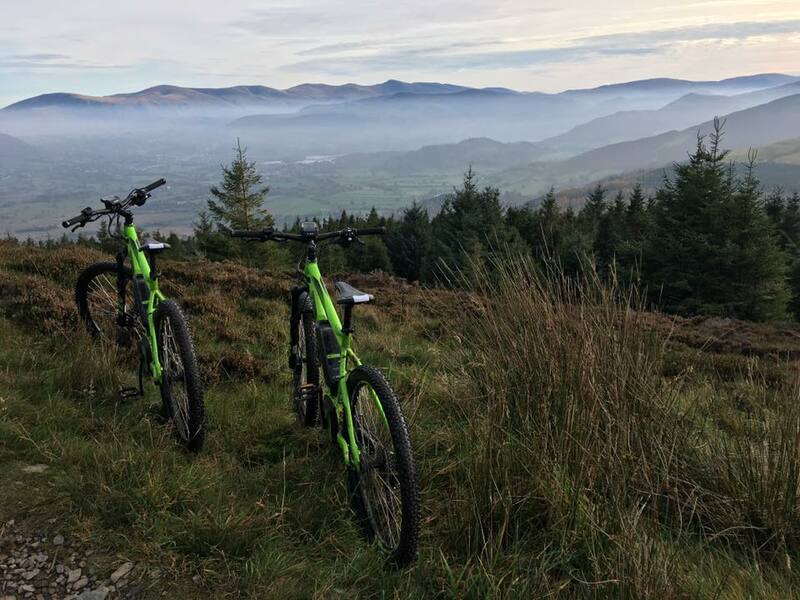 Askham Fell Mountain Bike Route is an easy mountain bike ride that takes you around the Fell and lets you see across Lake Ullswater. It is only 4.4 miles long, which means that you won’t tire everyone out too much, yet still will have plenty of fun. If you are feeling up to the challenge then the 31 miles of the Edge of Lakeland route may be just what you are looking for. This route allows you to take in some truly dramatic views and also see Mosedale an Mungriscale. The route itself is remote and rugged but you really will be rewarded with memorable sights. As you can see, the Lake District has plenty to offer in the way of cycle routes. So, whether it is sharp and short, long and winding or perhaps just something fun with your family. Why not grab your bike and see what this amazing part of the UK has to offer?